Shower of Roses: Someone's Seven! 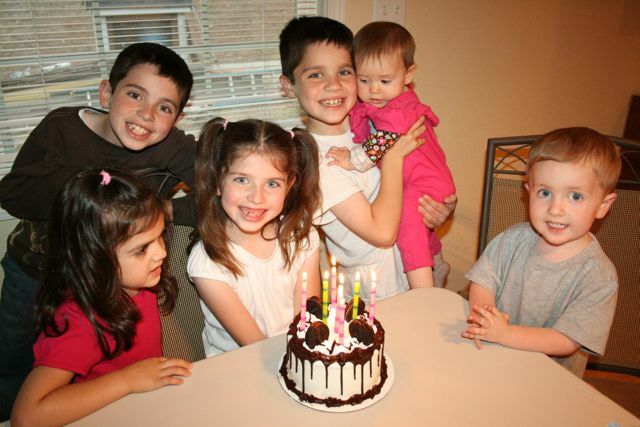 Our contractor is not only doing an amazing job, he has the sweetest family!! His wife, Jamie, surprised us (knowing that I've been on crutches & Sean's out of town fighting fires) with pink cupcakes for Twinkle Toes's 7th Birthday today!! Since this summer has been so crazy, we had decided to wait until next year to have her "big" birthday party with all of her friends, but it was so nice to have some extra company since Hubby had to miss her birthday. . . again! 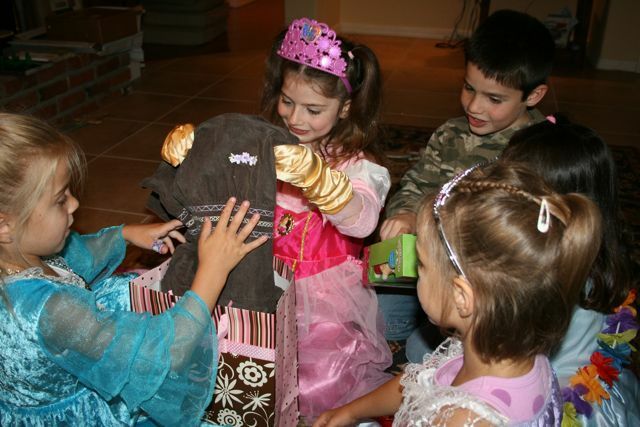 The girls (the contractor and his wife have 3 girls, all close in age to our 3 girls) all dressed up and our little Twinkle Toes was able to have an impromptu "princess birthday party" after all! 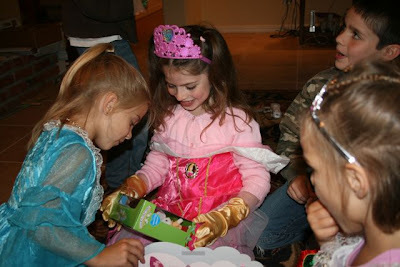 After we sang Happy Birthday and enjoyed the cupcakes, Twinkle Toes opened her gifts. 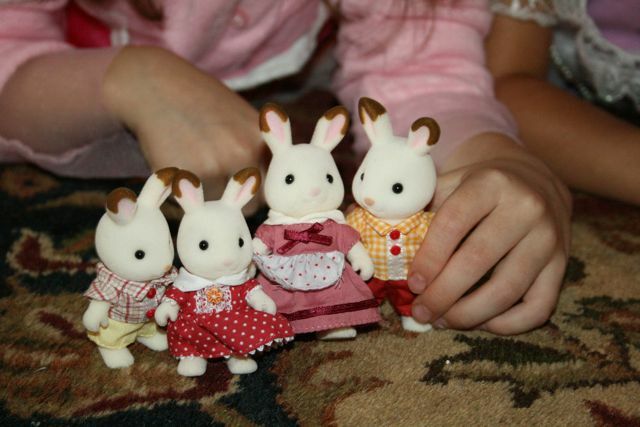 The first gift she opened was some new Calico Critters to add to her collection, the Hopscotch Rabbit Family ! 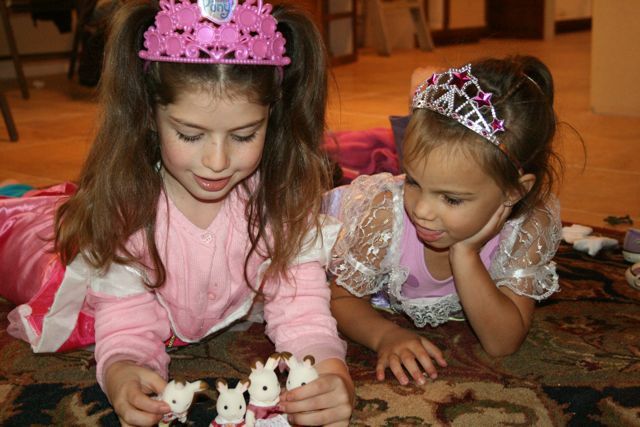 Aren't Calico Critters the cutest!?! My girls love them! 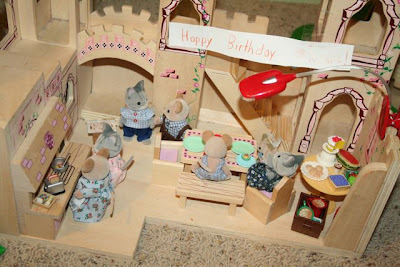 Speaking of Calico Critters, Rascal surprised his sister this morning with a little birthday celebration scene he had set up in the castle last night, after the girls fell asleep. It was so cute! Twinkle Toes also received a new skirt/outfit, a few fun cookbooks to help break in our new kitchen, a ladybug tree swing , a few fairy books, and an American Girl Doll (which she loved, even though it wasn't the full-size version she had been hoping for. . . maybe someday!). The kids and I all went out to dinner and then picked up a small cake at Baskin Robbin's before coming home. 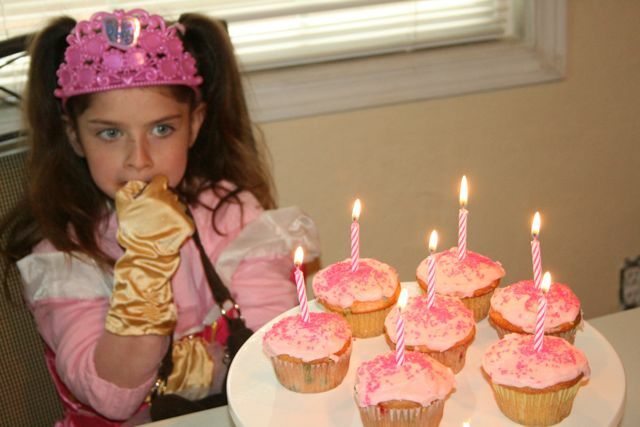 We'll bake the princess cake , which we had originally planned to make, to celebrate just one more time when her Daddy is home again. We sure miss him!! blessed celebration! i love it's simplicity. i just wrapped up my two aug birthdays (24&25). p.s. many prayers for you and your contractor's family. I love those calico critters...thinking of getting some for my two year olds third birthday. What a great day. How sweet of big brother to do something so sweet and special. I love it when they ooze that kind of love! 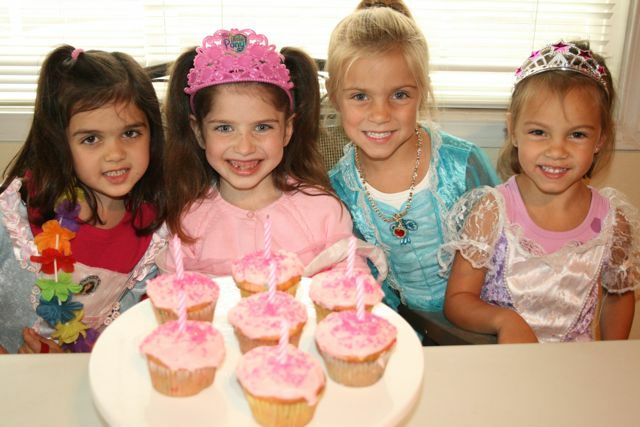 Oh Happy Birthday, our girls are so close in age! I just had two girls turn 6 and 8.. all into the same things. Wish we lived closer. Happy Birthday Twinkle Toes!!!!! (Rose is getting big!) Our oldest turned 7 earlier this month. You're such an inspiration, I appreciate everything you share here!